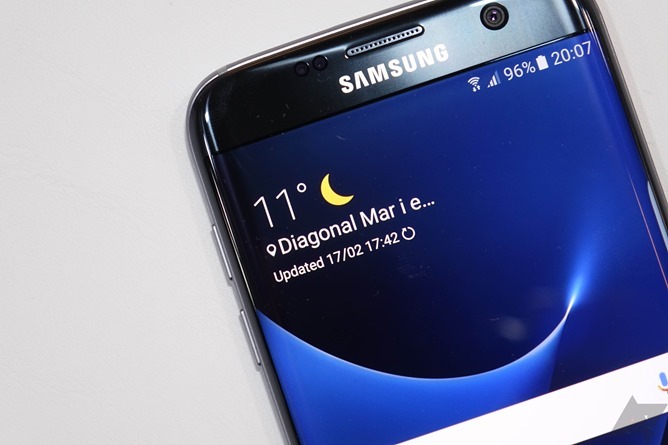 Earlier this evening in Barcelona, we had our first chance to look at the Galaxy S7 and S7 edge in the flesh. Unfortunately, it wasn't under ideal conditions, and I don't feel comfortable putting down a large number of thoughts about the devices just yet. We need some more time with them. But, we did manage to record a video demonstrating the phones, as well as snap a gallery of photos for your perusal, should you be so interested. We'll have a full hands-on of the S7 and S7 edge later this week, but for now, here's our first look at Samsung's new flagship duo.